Belgian papers (no maintenance booklet). Beautiful 4-seater convertible ready for use. 10l / 100km, 250hp and very reliable! Next year the car is 30 years and then one can expect a leap in value. In late 1989, the 911 underwent a major evolution with the introduction of the Type 964. With many innovative technologies from the 959 model, this would be a very important car for Porsche, since the world economy was undergoing recession and the company could not rely on its image alone. It was launched as the Carrera 4, the "4" indicating four-wheel-drive, a decision that surprised many but demonstrated the company's commitment to engineering by reminding buyers that race and rally engineering (of the 959) does affect road cars. Drag coefficient was down to 0.32. A rear spoiler deployed at high speed, preserving the purity of line when the vehicle was at rest. The chassis was redesigned overall. Coil springs, ABS brakes and power steering made their debut. The engine was increased in size to 3600 cc and developed 250 PS (184 kW). 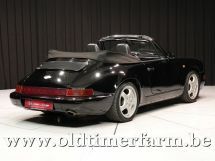 The car was more refined, but thought by some journalists to have lost some purity of the 911's concept. The rear-wheel-drive version, the Carrera 2, arrived a year later. 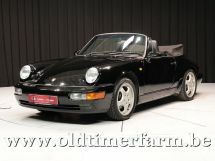 The 964 incarnation of the 911 Turbo returned in 1990 after an absence from the price lists. 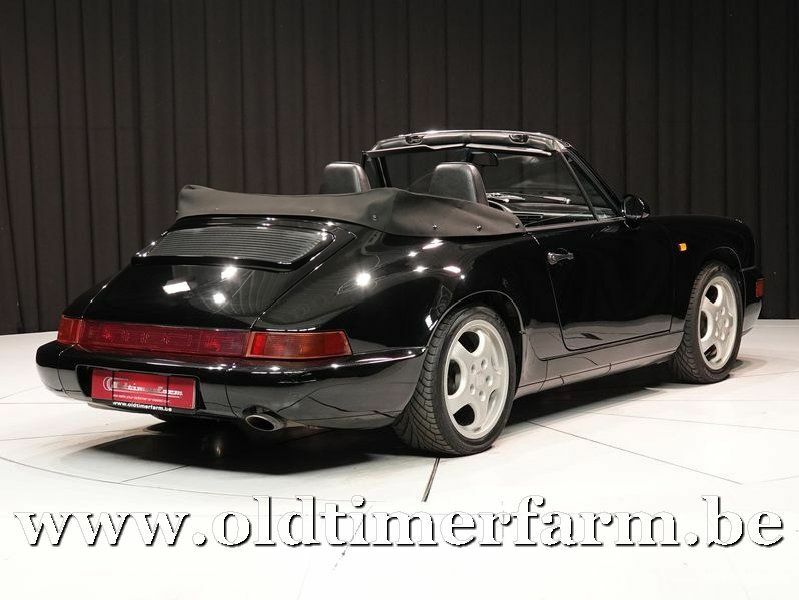 At first it used a refined version of the 3.3 L engine of the previous Turbo, but two years later a turbo engine based on the 3.6 L engine of the other 964 models was introduced. In 1990, Porsche introduced the ahead-of-its-time Tiptronic automatic transmission in the 964 Carrera 2, featuring adaptive electronic management and full manual control. The 964 was one of the first cars in the world offered with dual airbags standard (from 1991), the first being the Porsche 944 Turbo (from 1987). In 1992, Porsche re-introduced a limited-edition RS model, inspired by the 1973 Carrera RS and emissions-legal in Europe only. In 1993, appeals from American customers resulted in Porsche developing the RS America of which 701 were built. In 1994, the RS America returned with rear seats. Only 84 RSA's were made in 1994. However, while European RS was a homologation special, RS America was an option delete variant of the regular model. The RS 3.8 of 1993 had Turbo-style bodywork, a larger fixed whale tail in place of the movable rear spoiler, and a 300 PS (221 kW) 3746 cc engine. Since the RS/RS America was intended as a no-frills, higher performance version of the 964, there were only four factory options available: a limited-slip differential, AM/FM cassette stereo, air conditioning, and a sunroof. The interior was more basic than a standard 911 as well; for example the interior door panels lacked the armrests and door pockets and had a simple pull strap for the opening mechanism. 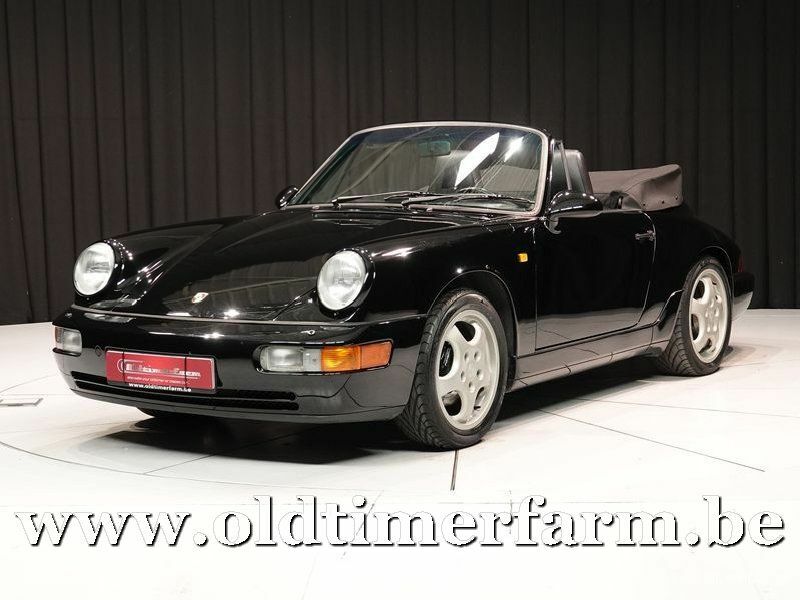 Although the RS America was about $10,000 cheaper than a fully equipped C2 at the time of their production, these models now command a premium price on the used market over a standard 964 (RS Europe was about $20,000 more expensive than a C2).